Do You Have a Passion for Serving Our Military? Posted on Friday, December 29th, 2017 at 1:43pm . Not all rescue organizations work out of brick and mortar buildings, like local animal shelters, but the work remains the same. Those volunteers work out of their own homes, caring for the animals there. Typically, these groups begin because of a shared fondness of a particular breed, by those who have bred or owned it previously. 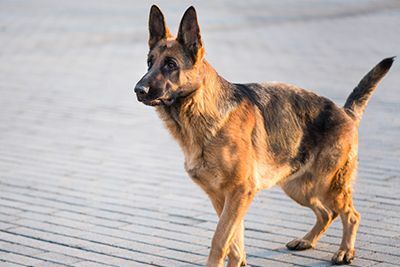 Their missions are similar: to provide leadership and expertise in their network of trained volunteers to take in stray, abandoned, surrendered, or impounded dogs. Rescue groups all across the country need help, and there are a variety of ways to help out. However, the first step is picking the organization that works best for you. You can always go down to the local animal shelter and sign up with them to be a volunteer. Or, think of your favorite dog breed and check online to see if a rescue group for that type of dog is nearby. Fostering dogs (having them live temporarily in a volunteers' homes to be evaluated and be safe while the group looks for permanent homes) is usually a group’s greatest need. It gives the dogs a chance to start to learn basic obedience and housetraining. Are you interested in puppies, adult dogs or senior-aged dogs? Some organizations work with older animals whose age would likely cause them to be euthanized. Fewer people are interested in adopting senior-aged dogs, because older dogs may have already lived the majority of their lives. Some dogs may have a hard time finding a forever home, just because of their color. Ever heard of “Black Dog Syndrome” or BDS? “Black dogs are commonly the last, if at all, to be adopted. Destined for death in many shelters, they are passed up for whatever the reason,” said Black Pearl Dogs, a rescue organization for black dogs, or as they call them, the black pearls of the dog world. Animal shelters find it in their best interests to work closely with rescue groups because the shelters that have difficulty placing otherwise healthy and pet-worthy animals would usually rather have the animal placed in a home than euthanized. While shelters might run out of room, rescue groups can often find volunteers with space in their homes for temporary placement. Each year, approximately 3-4 million cats and dogs are euthanized in shelters because of overcrowding and a shortage of foster homes. Conduct home visits with prospective adoptive families: by doing these pre-adoption visits, you're giving the foster families a look into the lives of the new families, as well as providing information about available dogs and other resources. Help with adoption events in your community: spend a couple hours, or even the day, with the dogs at a local pet store or pet-related event, talking to people about the organization. You can help staff a table or even transport some dogs to or from the event. Work on fundraisers or apply for grants: cash donations are the lifeblood of any non-profit organization. Put your know-how to work by helping the organization raise money. Publicity work on social media or for newsletters: work from the comfort of your own home, creating and editing the organization's newsletter or posting to their Facebook and Twitter accounts. As you take on this new activity, remember this: a rescued dog doesn’t necessarily mean it was an abused or neglected dog. Sometimes, owners outlive their pets, and extended family members don’t want it. Of course, if dogs aren’t your thing, rescue groups exist for most pet types. So if the idea of a bunny rescue gets your tail twitching, search for that kind of group instead. Do you have a favorite breed of dog? Share with us in the comments! Thinking about buying your new home this fall, with a bigger yard? Start your search with us!